While reading through my Reading post, I realised that I didn't do any proper outfit details, so I thought I'd give my Reading outfits their own little post. On day one I wore a black Warehouse skirt (via a charity shop), my Wedge Welly's (which I couldn't have done Reading without), a white tank, bought locally, and a green HandM hoody. Susie kindly bought me this Strokes tee as a belated Birthday present and I threw it on immediately. On day two, my outfit was very similar. I wore the same Warehouse skirt and Wedge Wellys, but decided on a Dead Heroes tee instead and a J.Crew hoody (stolen from Susie as mine was in dire need of a wash). I'm not joking when I saw that I've literally been living in my 3 Dead Heroes Tees. They're crazy comfortable. All photo credits to Susie. 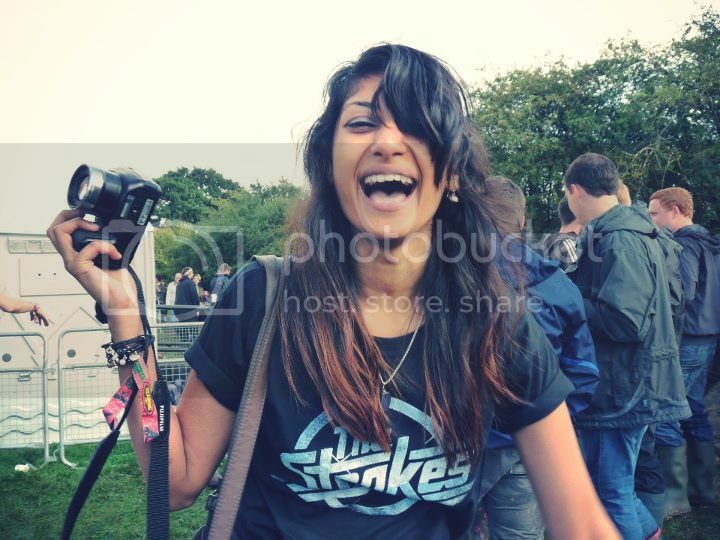 Love the strokes tee, I would totally wear that too. 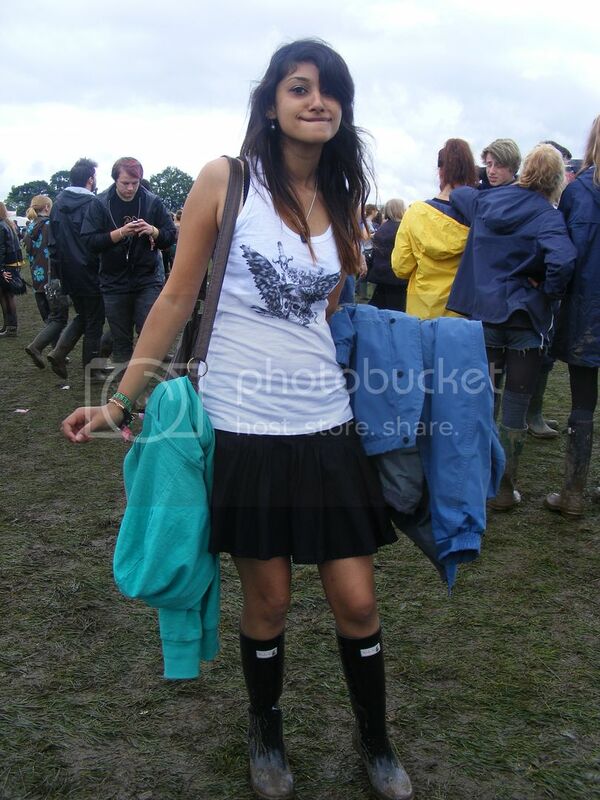 Ahhh, festival style! How cool! that's an awesome outfit, love the tad grundge feel to it! and those hunter boots- i want a pair!! Sherin, you look gorgeous in your concert attire! I've learned a lot about what not to wear from going to Warped Tour for many years. Don't ever wear a white skirt. I did that once and it was covered in mud by the end of the day because it had been raining. No flip-flops either because your feet will be SO dirty. And they'll get stepped on. Hahaha! I was at Reading as well and I'm happy you had such a good time! Your outfits are great! I love the last one the best I think! Your picture say you REALLY had a good time! You look so happy in all these photos - I love them! 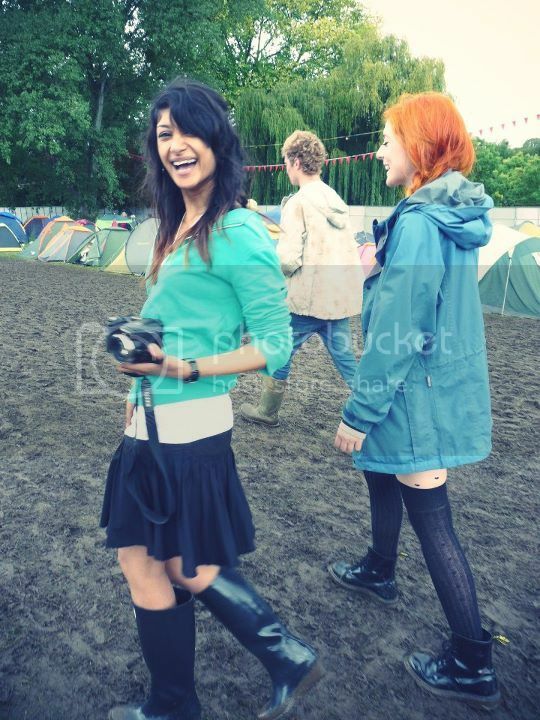 Not looking properly at the clothes because I'm blinded by your smile - but those wellies are awesome! Sherin, you have the most gorgeous smile ever! 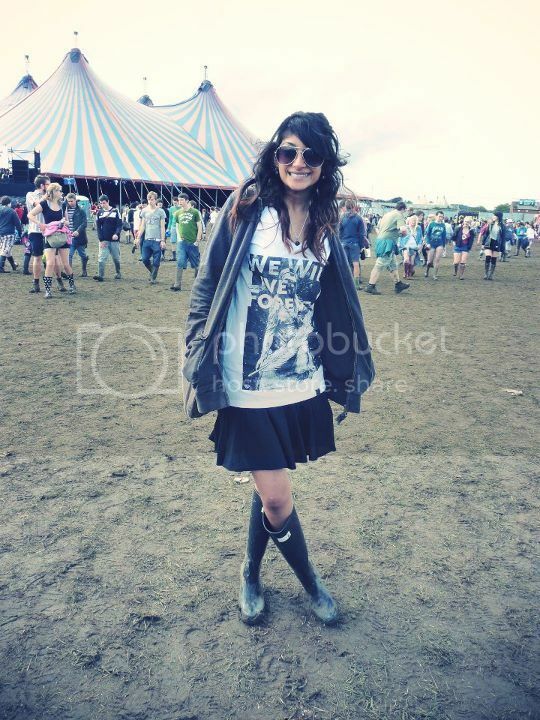 Your outfits could not be more perfect - weather appropriate and still completely fashionable :) I love those wellies - definitely what I would wear to a festival!